Wound healing, whether due to diabetes, radiation or other factors is a complex process. 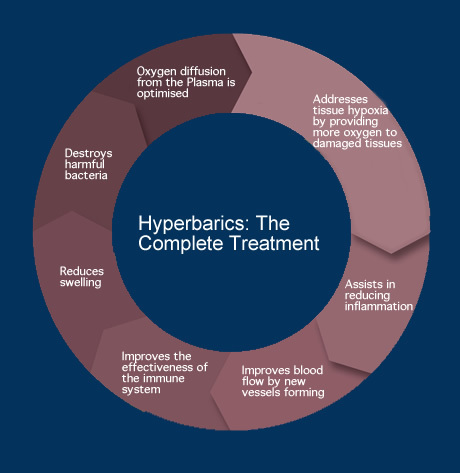 One key factor that impairs healing is a lack of oxygen (“hypoxia”) in the affected tissue, which can result from poor blood supply to the area. Together these mechanisms enhance and accelerate wound healing and reduce the chance of infection.